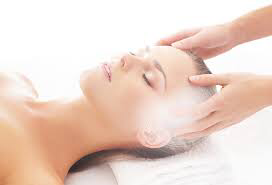 Reiki is a Japanese technique for stress reduction and relaxation that also helps to promote healing. It is administered by laying hands on. If one's vibration is low, then we are more likely to get sick or feel stress, and if it is high, we are more capable of being happy and healthy. • Helps Reduces Stress, Tension, Anxiety, & General Emotional Distress. Reiki can not harm you! Receive Reiki while in the comfort of your own home or while you are out shopping or juggling the kids. Distance Reiki works according to the Hermetic Law of Similarity, which holds that we are all connected, as we are all energy matter and part of a larger whole. As such, invoking this law during a distance Reiki session allows the practitioner to link an object to the energy field of the recipient. I typically use the recipient's photo along with a healing crystal.